Fig. 56. 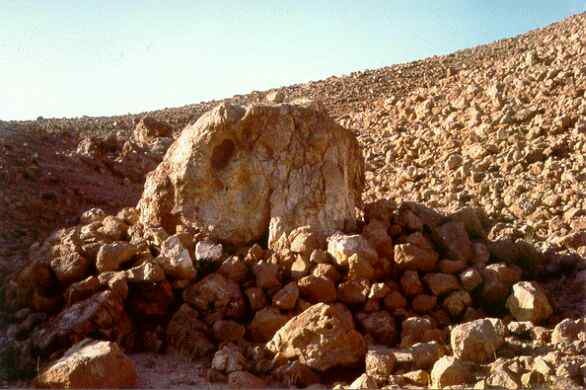 Large boulder surrounded by a heap of stones, located near a courtyard site of the BAC period. The form of an anthropomorphic face is natural though the eyes have been accentuated by man. (Site HK 122; photo EA89: XLIII-30 E.A. 1994, fig. 31; WARA W05915).